Dr. Joel “Gator” Warsh is an Integrative and Holistic Pediatrician in Los Angeles, California. He grew up in Toronto, Canada and completed his undergraduate training there in Kinesiology and Health Sciences, before going on to earn his Master’s Degree in Epidemiology and Community Health at Queen’s University, where he was honored with the Canadian Institute of Health Research Master’s Award. He was the CEO of International Innovation Media and Design Inc. and was the Ontario Student Entrepreneur of the year in 2009. In 2010, he moved to the United States and attended and earned his medical degree from Thomas Jefferson Medical College where he was elected president of the Jefferson Pediatric Society. Dr. Gator completed his Pediatric Residency at Children’s Hospital of Los Angeles (CHLA), where he received the George Donnell Society Research Fellow. He started his career working as an attending Pediatrician at CHLA. He has also worked in Private practice in Pasadena and Beverly Hills before moving to his current office in Studio City, CA. He is currently on staff at Cedar Sinai Hospital. Dr. Gator has published research in numerous peer-reviewed journals on topics including childhood injuries, obesity and physical activity. He is also a faculty member of Peds4you. Additionally, Dr. Gator has studied Holistic and Integrative Medicine. In an effort to provide superior patient care, he incorporates various methodologies into his allopathic medical practice. Dr. Gator is a certified Integrative Medical Practitioner by the American Academy of Integrative Medicine. Currently, he is studying Functional Medicine, Ayurveda, Traditional Chinese Medicine and Homeopathy. He is also the Medical Advisor for Earth Conscious Films. Dr. Gator is married to Sarah Intelligator, an attorney, whose Holistic Divorce and Family Law practice is located in Beverly Hills. For almost 20 years, she has taught yoga throughout Los Angeles. Dr. Joel was given the nickname, Dr. Gator, by his peers after marrying Sarah Intelligator (yes that is her real last name) and the nickname stuck. Dr. Gator is an avid athlete, foodie and traveler. 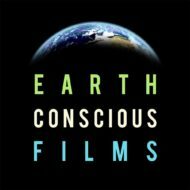 Dr. Joel Warsh has been named Medical Advisor for Earth Conscious Films, who create motion pictures that not only inform and entertain, but also empower people at the local level with the tools needed to solve the most pressing issues facing our species and the planet. He is one of the best doctors I have ever met. My children love him. He combines integrative and allopathic medicine. Few doctors do this. Warsh J, Chari R, Badaczewski A, Hossain and Sharif I. Can the Newest Vital Sign be used to assess Health Literacy in Children and Adolescents. Clinical Pediatrics. 2014. 53: 2; 141-144. Chari R, Warsh J, Kettner T, Hossain J, Sharif I. Relationship between Health Literacy and Child and Adolescent Obesity. Patient Educ. 2014. 91: 1; 61-66. Warsh J, Pickett W, Janssen I. Are overweight and obese youth at increased risk for physical activity injuries? Obesity Facts 2010. 3; 225-230. Warsh J, Rothman L, Slater M, Steverango C, Howard A. Are School Zones Effective? Pediatrics for Parents. April 2010. 25;11: 27-28. Warsh J, Kukaswadia A, Mihalik J, Pickett W. Body Checking Injuries in Kingston Youth: The effects of the rule changes in minor hockey to body checking injuries. Pediatrics 2010. 125:4; 735-741. Voklander D, Dosman J, Hagel L, Warsh J, Pickett W. Farm Work Exposure of Older Male Farmers in Saskatchewan. American Journal of Industrial Medicine July 2010;53:7: 706-715. Warsh J, Constantin A, Howard A, Macpherson A. A systematic review of the association between body checking and injury in youth ice hockey. Clinical Journal of Sports Medicine 2009: (2); 134-144. Warsh J, Rothman L, Slater M, Steverango C, Howard A. Are school zones effective? An examination of child-pedestrian vehicular crashes near school. Injury Prevention (BMJ) 2009 (15); 226-229. Warsh J. Mission Impossible; the quest for medical school. Canadian Medical Association Journal 2009; 109; 3041.